"Land Your Dream Here"Â© Located 19 miles from the Hamptons across LI Sound and sitting in the heart of the Thimble Islands, is Cut-in-Two East, a unique and commanding island, encompassing one large island with a classic 3-bedroom, 2 bath cottage and a detached studio/office. Sold with this island is a smaller island located just a few feet to the north which is accessed by a bridge. Set high on a granite rock cropping this home offers 360-degree views of the shoreline, the majestic Thimble Islands and open views to the shores of Long Island. Owners and guests will enjoy this classic home set back in time with its wood floors, exposed beams and eat-in country kitchen. There is no doubt that the owners will be taken back by the most spectacular sunrises and sunsets from this island while enjoying warm summer breezes during the day and evening. Features include a covered wrap-around porch, a deep-water dock with float, Stony Creek granite pier and boathouse. Other important features include city water, electricity and half ownership in bridge to Cut-in-Two-West. Cut-in-Two East can be purchased with Cut-in-Two West for a family compound or one large estate. Accessible by boat or water taxi. 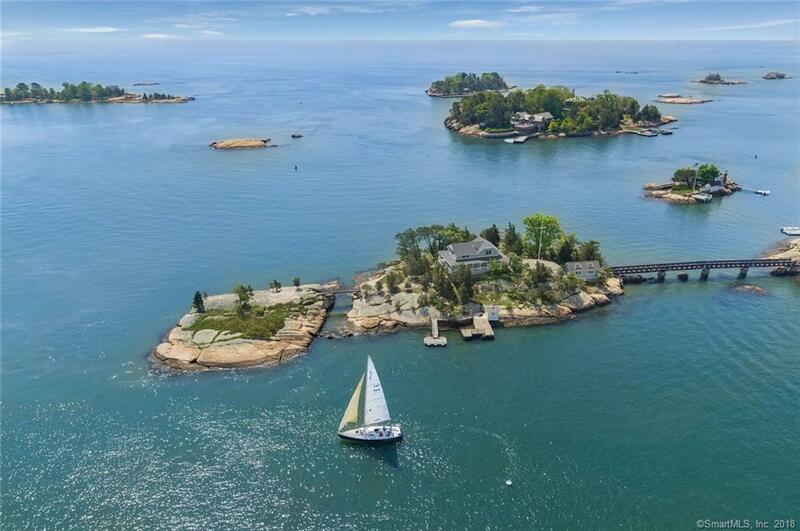 If one were to search the entire eastern seaboard, one would find it nearly impossible to surpass such a treasure as the historic Thimble Island community. Conv to Pine Orchard Yacht and Country Club, Yale, train, 75 mi NYC. A MUST SEE for the waterfront enthusiast. More photos to follow.